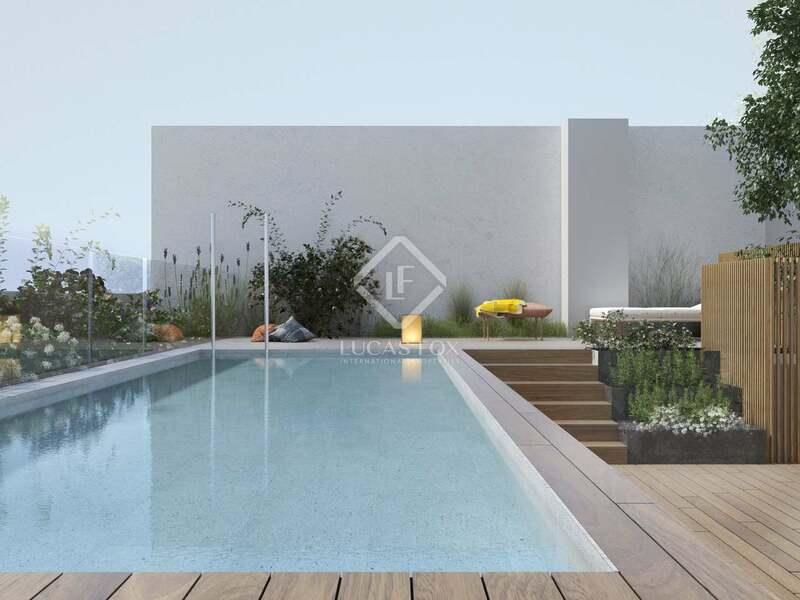 Modern, minimalistic New Development of apartments and duplex for sale in Les Cortes, Barcelona, with parking and a communal pool. Minimalist 2 and 4 bedroom apartments with modern interior design, parking and a communal pool, for sale in Les Corts, Barcelona. 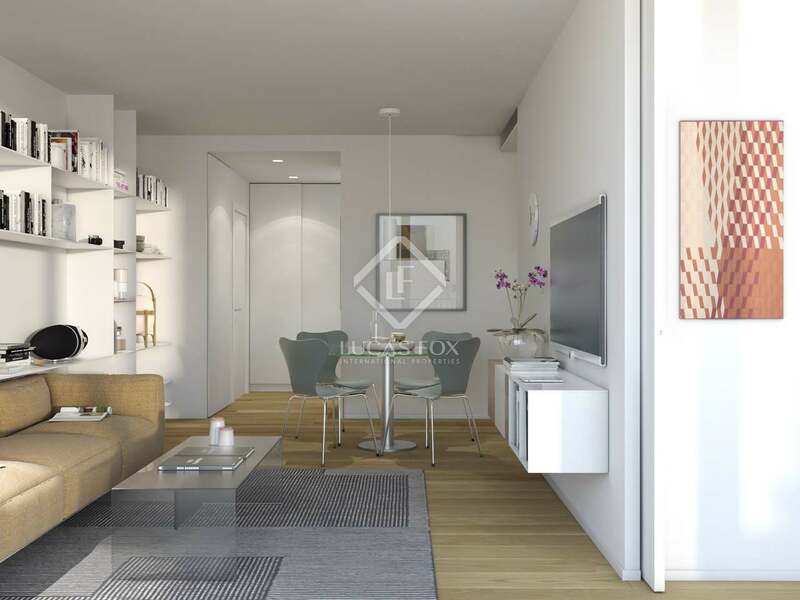 The development offers 2 and 4 bedroom apartments, measuring from 72m² to 144m² plus ground-floor duplex apartments with private gardens. 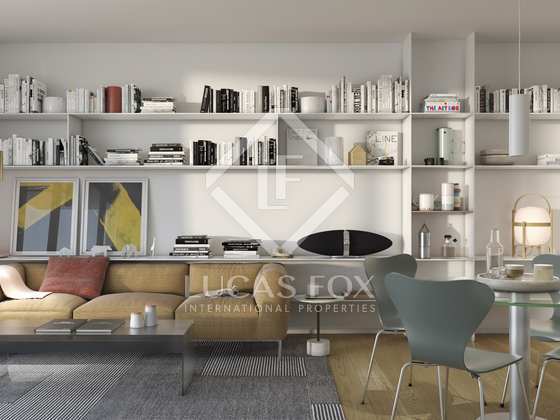 Minimalistic homes with quality finishes, the apartments are filled with natural light thanks to floor to ceiling windows. 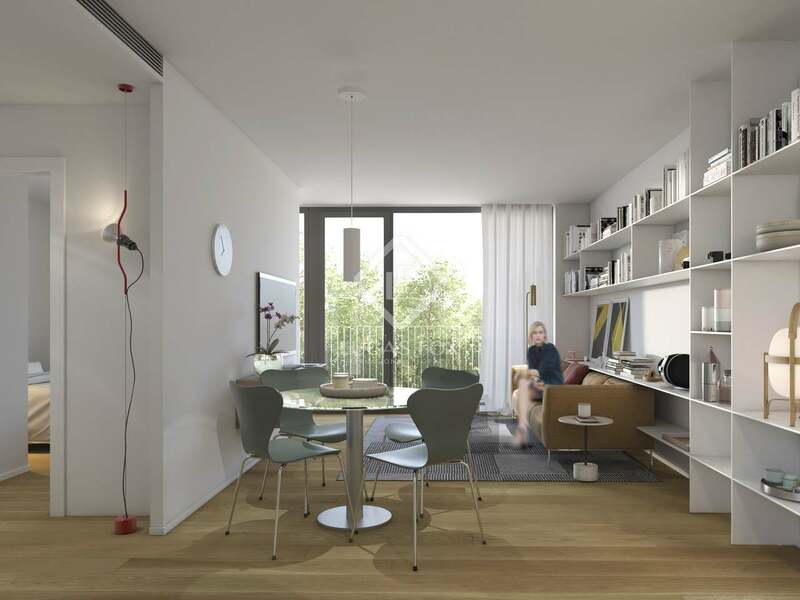 Furthermore, modern finishes and neutral colour schemes have been selected to create contemporary, elegant apartments. 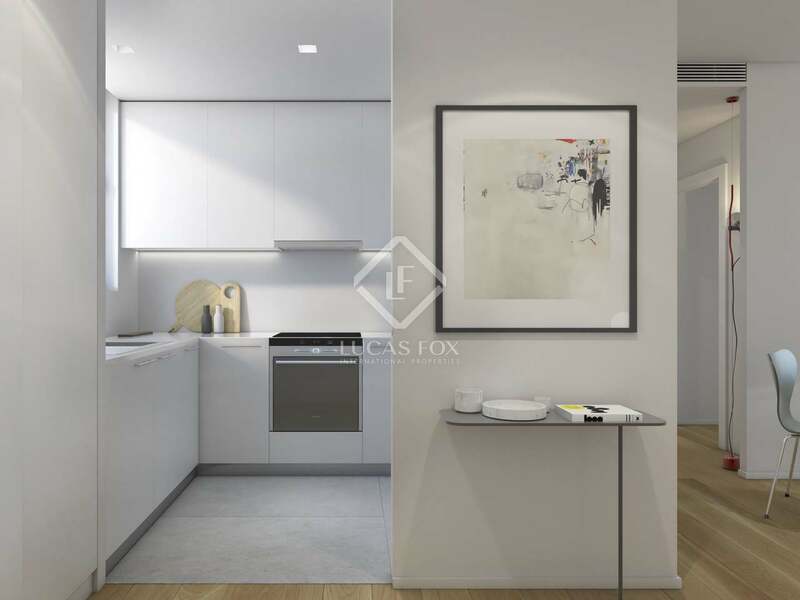 Kitchens are equipped with Bosch appliances and there is abundant space for storage and food preparation. All the apartments have double bedrooms, some bedrooms which could be used as offices for complete flexibility. 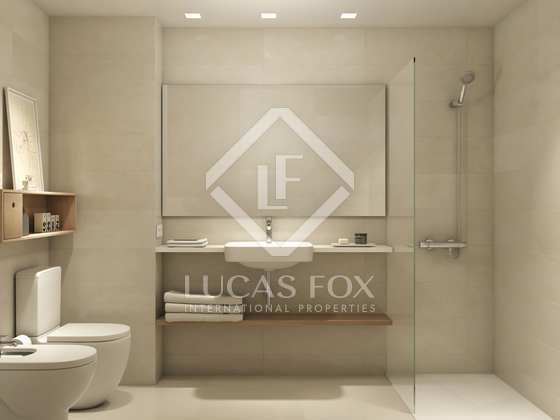 The 2 bedroom apartments have 1 fully equipped bathroom whilst the 4 bed units have 2 bathrooms. 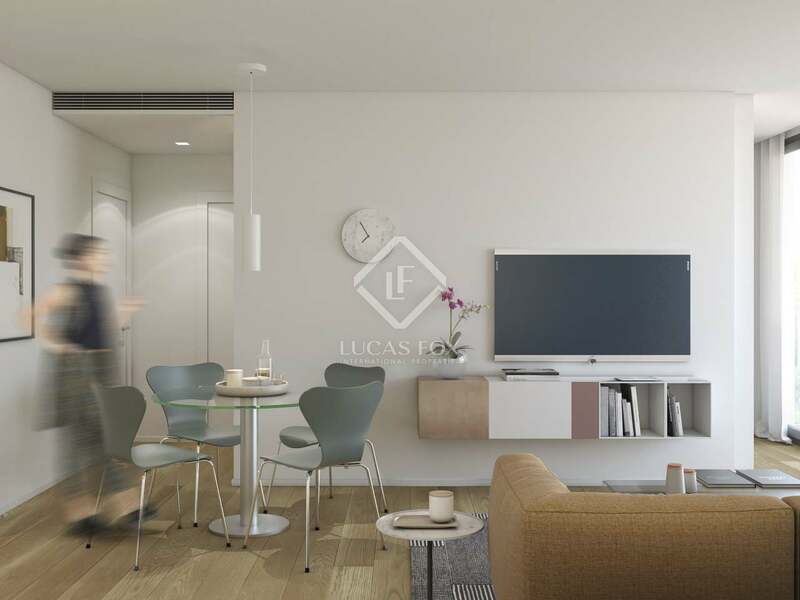 Every detail has been carefully thought out in this development, from the intuitive distribution to the heating and air conditioning systems for year round comfort. Residents have access to a fabulous communal swimming pool. What's more, there are parking spaces available in the same building at an additional cost.